SOS Children's Villages has been in Bilgoraj since 1983, when it became the first location in Poland where we started supporting vulnerable children. 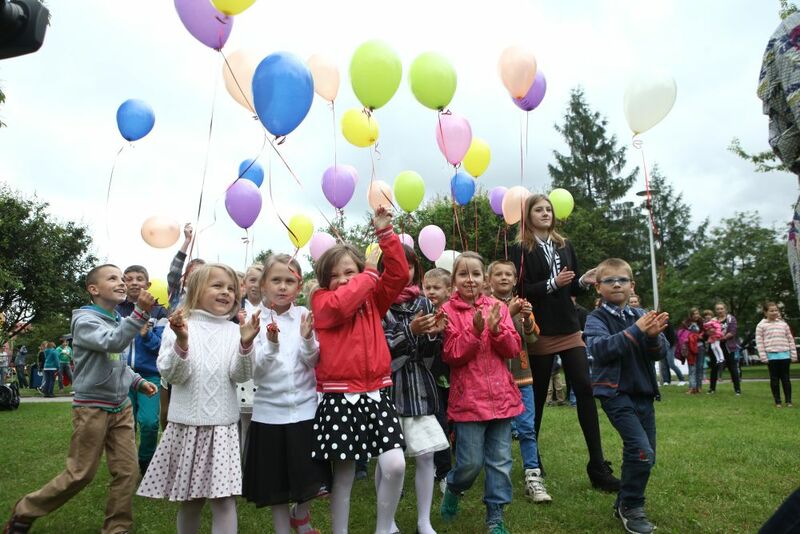 Since then our activities have continued to grow, adapting to the changing Polish social and economic situation which has led to an increase in the number of children losing parental care. 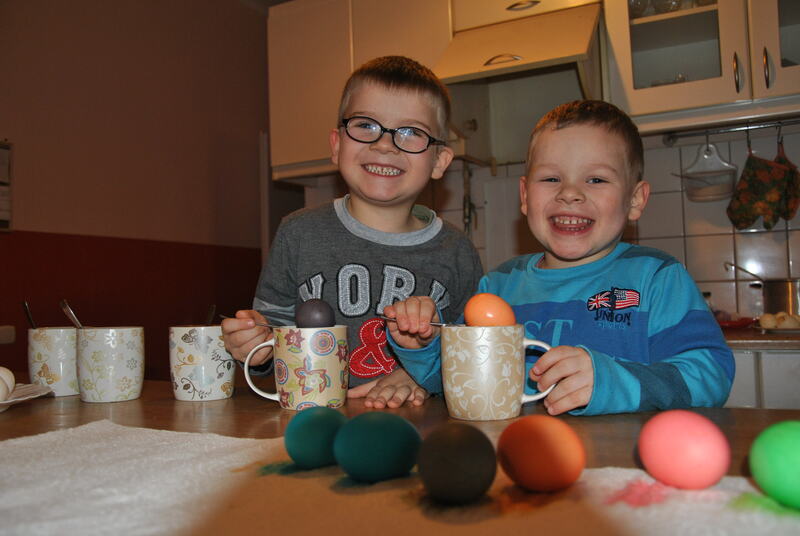 Two boys in our care colouring eggs at Easter (photo: SOS CV Bilgoraj archives). Bilgoraj, a city with approximately 27,000 inhabitants, is located in the south-east of the country, near Zamosc and about 90 kilometres south of Lublin. Agriculture is important in the area, as are related food production companies. The local industry produces raw materials for the construction industry. The region is also home to historic towns and nature reserves, which attracts some tourism to the area. Although the Polish economy has improved over the past decades, not all areas have benefited from this progress: the eastern parts of Poland have not profited as much as other parts of the country. The salaries are lower than in other areas and the region continues to have one of the highest rates of poverty and unemployment in the country. This is particularly true of rural areas and small towns. Many children in the region continue to live in poverty. They often find it difficult, especially in more rural areas, to access education and adequate health care. Most children lose parental care due to a complex set of circumstances which sometimes include unemployment, addiction and a lack of social welfare support. In 2010 the area was affected by floods. SOS Children's Villages provided shelter to people from the local community, and young people from SOS families helped local farmers to re-build their farms. The Polish government's official policy is that vulnerable families should be supported so that children can continue to live with their families. However, there continues to be a shortage of social welfare services which can provide such families with the assistance they need. In light of these circumstances the work of SOS Children's Villages continues to play a crucial role in protecting the rights of children. SOS Children's Villages works closely with the local community. In order to support vulnerable families in the neighbourhood, we offer family strengthening programmes which, in collaboration with local agencies, aim to ensure that children have access to essential educational, health and nutritional services. We provide parents with advice on parenting skills and help them find employment. When parents find a job or while they attend training, they can leave their children in the day-care centres that we run in the region. If children can no longer live with their families, they can find a loving home in one of the twelve SOS families, that provide a stable and loving home for children who have lost the care of their parents. The children are fully integrated into the surrounding community, as they attend the local schools alongside children from the area. The children in our care are offered special support according to their needs, be it with their school work or with therapy. Many after-school activities take place in the neighbourhood, and many activities that we organise in the village are well attended by local children. Since March 2002, we have been running transit homes in the village. Children can stay in these family-like homes until the authorities have decided where they are to be cared for more permanently.